On Sunday, Gene and I went to the Denver Zoo Lights with four friends. We hadn’t been in two or three years so I was excited to go again. And this time around the weather stayed pleasant for us! I really like Christmas lights so this was right up my alley. 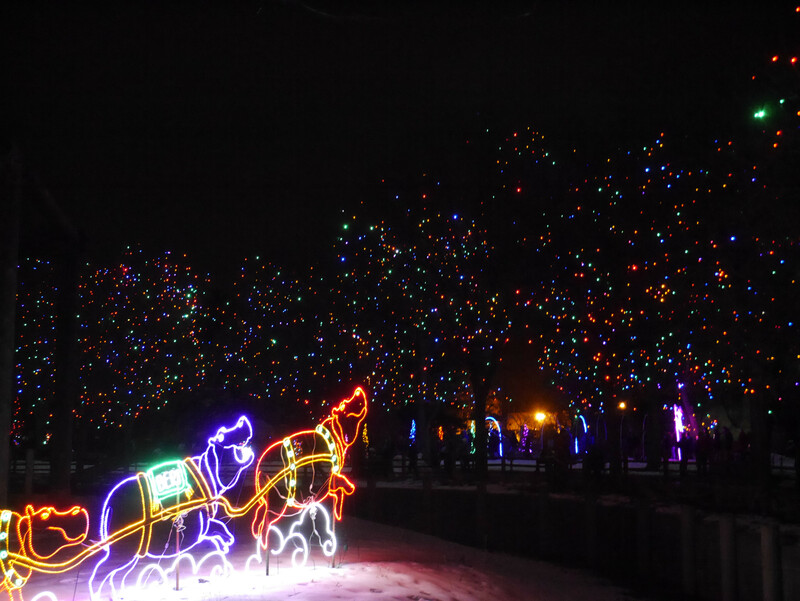 Most of the trees were covered in lights and along the paths were scenes of zoo animals. As you walked along you heard Christmas songs from speakers. We also saw a group of people square dancing, which was fun to stop and watch. Other than the lights, we also got to see a rhino, giraffes, a zebra, and all the creatures in the aquarium building. 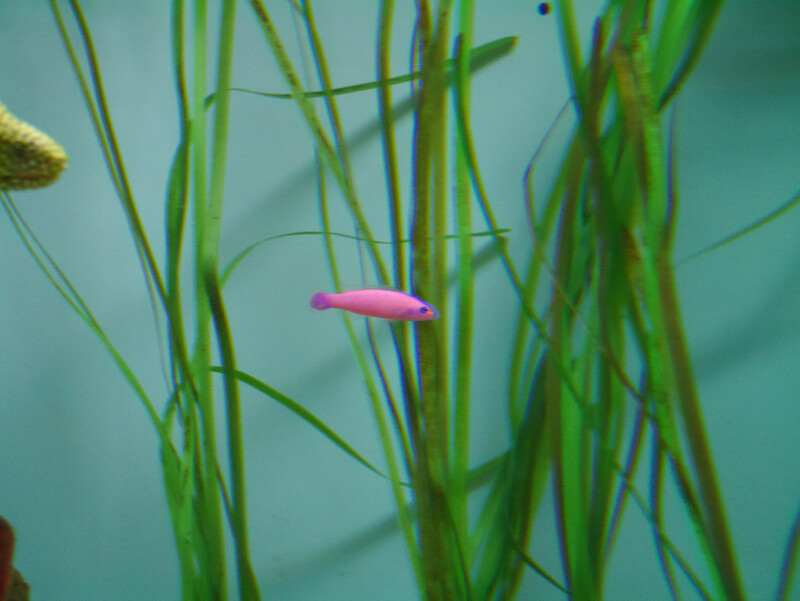 I saw this really awesome bright pink fish that I liked a lot. There was also a school of transparent fish which were pretty neat. I’m glad we got to go this year as I meant to go last year but I chickened out because of the weather. 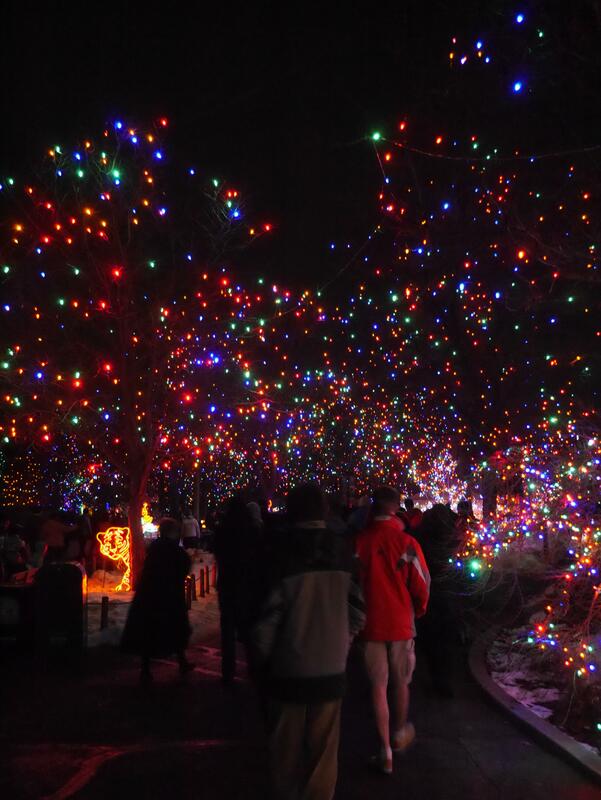 I think next year I’ll make my way to the Botanic Garden Lights as Gene read they are some of the best lights in Colorado.